There are many people whom we have known since our childhoods and for a certain reason – their achievements in a particular field. But do we also know that these great politicians, leaders, celebrities were great fine artists too!! Take a look to know what every one of these super famous people had been hiding away from the art lovers of the world. Hitler as an artist: Adolf Hitler was a painter and was deeply interested in art.He produced hundreds of works and sold his paintings and postcards to try to earn a living during his Vienna years (1908–1913). However, he was not successful. A number of his paintings were recovered after World War II and have sold at auction for tens of thousands of dollars. Others were seized by the U.S. Army and are still held by the U.S. government. In his autobiography Mein Kampf, Hitler described how, in his youth, he wanted to become a painter, but his aspirations were ruined because he failed the entrance exam of the Academy of Fine Arts Vienna. Hitler was rejected twice by the institute. Later, when he used to tint and peddle postcards featuring scenes of Vienna, Hitler frequented the artists’ cafes in Munich in the unfulfilled hope that established artists might help him with his ambition to become a painter. He painted his first self-portrait in 1910 at the age of 21. When Hitler served in World War I at the age of 25 in 1914, he carried his paints with him to the front and spent his idle hours painting. The works he painted during this period were among his last before he became a politician. The themes of his wartime painting included farmers’ houses, dressing-station etc. These were the last artworks by him before he became a politician. What he is famous for: William Jefferson “Bill” Clinton is an American politician who served as the 42nd President of the United States from 1993 to 2001. Inaugurated at age 46, he was the third-youngest president. Clinton has been described as a New Democrat.. Before becoming president he was the Governor of Arkansas, serving two non-consecutive stints from 1979 to 1981 and from 1983 to 1992. He was also the state’s Attorney General from 1977 to 1979. Clinton as an artist: Clinton had years of musical experience under his belt. He was actively involved in chorus and band throughout his school years, becoming particularly adept at the tenor saxophone. Clinton practiced every day and attended band camp in the Ozark Mountains every summer. He eventually won first chair in the saxophone section at the Arkansas state band. Clinton wrote in his autobiography that he briefly considered a musical career when he was around 16 years old, but later decided to another career. He explained that while he loved music and was sure that he could develop into a very good player, his skills would never reach the likes of Stan Getz or John Coltrane. In public service, however, he was sure he could excel. One of the defining and most culturally salient moments in Bill Clinton’s 1992 presidential campaign occurred when he appeared on The Arsenio Hall Show. Instead of merely chatting with the show’s host and fielding questions, Clinton appeared with his tenor saxophone in hand and belted out Elvis Presley’s “Heartbreak Hotel.” Wearing wraparound sunglasses and a brightly colored tie, the performance helped Clinton solidify himself as a relaxed, self-confident candidate, and action that political analysts claim to have won him a significant degree of support from young and minority voters. What he was famous for: Sir Winston Leonard Spencer-Churchill, was a British politician who was Prime Minister of the United Kingdom from 1940 to 1945 and again from 1951 to 1955. He is widely regarded as one of the greatest wartime leaders of the 20th century. Churchill as an artist: He was a historian, a writer, and an artist. He is the only British Prime Minister to have received the Nobel Prize in Literature. Churchill was forty before he discovered the pleasures of painting. He was an accomplished found haven in painting to overcome the spells of depression which he suffered throughout his life though in his landscapes and still lives there is no sign of depression. Churchill is best known for his impressionist scenes of landscape, many of which were painted while on holiday in the South of France, Egypt or Morocco. Churchill was also a prolific writer of books, writing a novel, two biographies, three volumes of memoirs, and several histories in addition to his many newspaper articles. He was awarded the Nobel Prize in Literature in 1953 “for his mastery of historical and biographical description as well as for brilliant oratory in defending exalted human values”. What he is famous for: John Christopher “Johnny” Depp II is an American actor, film producer, and musician. He has won the Golden Globe Award and Screen Actors Guild award for Best Actor. Depp rose to prominence on the 1980s television series 21 Jump Street, becoming a teen idol. Dissatisfied with that status, Depp turned to film for more challenging roles; he played the title character of the acclaimed Edward Scissor hands(1990), Sleepy Hollow (1999), Charlie and the Chocolate Factory (2005), Alice in Wonderland(2010) and the Pirates of the Caribbean film series (2003–present). He has been listed in the 2012 Guinness Book of World Records as the highest paid actor, with $75 million. 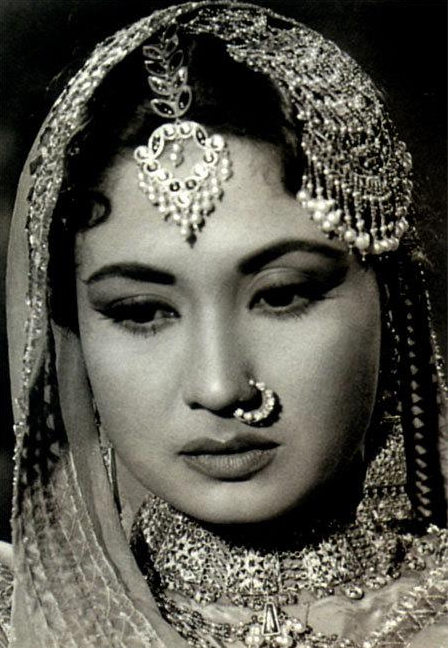 What was she famous for: Meena Kumari born Mahjabeen Bano, was an Indian movie actress and poetess. She is regarded as one of the most prominent actresses to have appeared on the screens of Hindi Cinema. During a career spanning 30 years from her childhood to her death, she starred in more than 90 films, many of which have achieved classic and cult status today. She is regarded as one of the most influential Hindi movie actresses of all time. highest paid actor, with $75 million. Meena Kumari as an artist: She was a Poet! Due to the conflicts between her and her husband which led to separation in 1960, and ultimately divorce in 1964, a highly affected Meena Kumari, who, once a happy woman, became depressed and found solace in heavy drinking. They remarried, but Meena Kumari had become an alcoholic by then. So not everyone here got famous for their artistic passions but that didn’t mean they stopped being artists! They are remembered today for their art too and that proves the worth of it all!